Indulge in an array of techniques to explore the charm of Sinamay. Sinamay is an impressive, versatile millinery fabric derived from the abaca tree, a banana palm native to the Philippines. Amazingly, this strong, woven, rough textured material can produce hat foundations with a sharp defined shape and yet, as if by magic, can be manipulated to produce trims as delicate as a butterfly. The two-day Sinamay Courses include all the materials to make a finished product. On all courses the materials will be provided. Drinks will also be provided but please bring a packed lunch or make arrangements to eat nearby at lunch time. 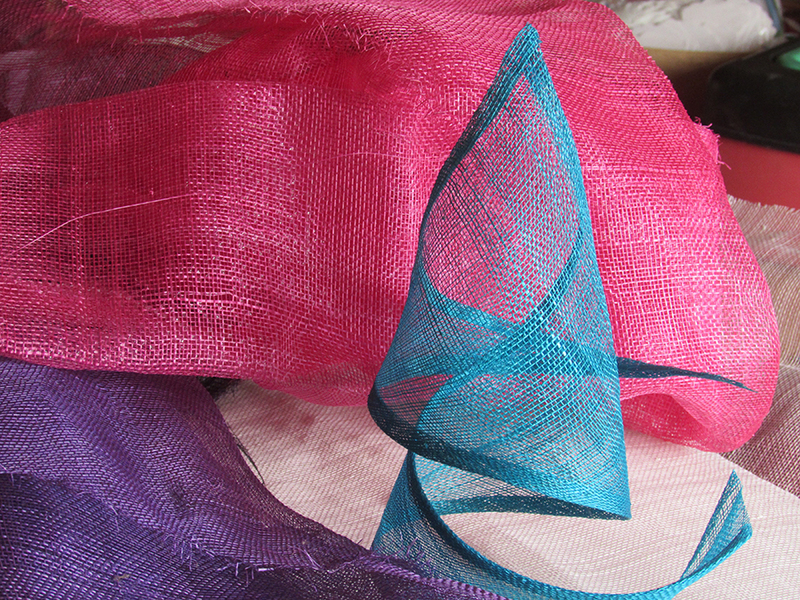 Students will take home their own sculptural headpiece made from Sinamay. Be enlightened by the qualities of Sinamay and the reasons for it`s popularity.